I used paper from the new Echo Park - Reflections Christmas collection that Lori Whitlock designed. I didn't even use my Cameo for this....the sticker and brad are both from the collection so this card came together very quickly! 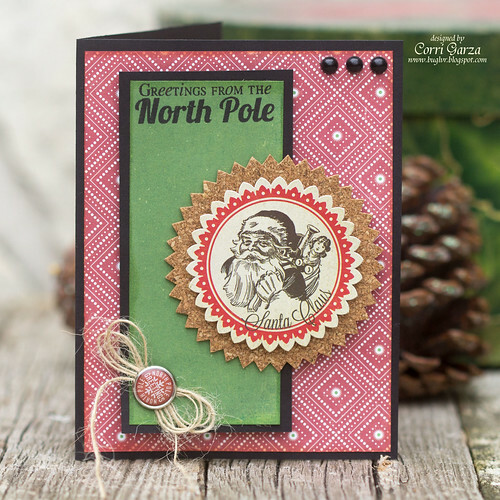 Head on over to Scrappy Moms to pick up these new stamps and get a head start on your Christmas cards. Santa is one of my favorite people. this is a great stamp of him. Very pretty card.